Trivandrum International Airport is located in the state's capital city of Thiruvananthapuram, 3.7km west of the centre of the city, in a 583-acre campus. Trivandrum International Airport is the first of three airports in the state of Kerala, India. It is located in the state’s capital city of Thiruvananthapuram, 3.7km west of the city centre, in a 583-acre campus. The airport is owned and operated by Airports Authority of India. The airport was set up as a part of the Kerala Flying Club in 1932. Air India began international operations at the airport during the 1970s, with flights to Dubai, Abu Dhabi, Muscat, Doha, Kuwait City, Bahrain and Dahran. It was upgraded to an international airport, the first to be located outside the metropolitan area, in January 1991. During 2007 and 2008, the airport handled 1.4 million international passengers and 0.7 million domestic passengers. The airport serves six domestic airlines and 18 international airlines. Elevated at a height of 13ft over the mean sea level, the airport has one 3,996m-long (13,110ft) asphalt runway(14/32). 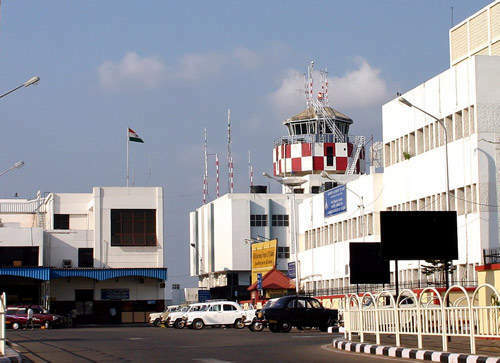 In 2006, the Central Government of India approved Airport Authority of India’s (AAI) plans for the construction of a new terminal complex costing INR2.45bn at Trivandrum International Airport. The project is completely funded by the AAI. With 85% of the construction work on the new terminal now complete, it is expected to be operational by April 2010. The new terminal is being built on a 28,800m² area. It is a three-storey building with a total floor area of approximately 23,300m². The ground floor, mezzanine floor, and first floor areas will be 11,520m², 5,354m² and 6,425m² respectively. The passenger-handling capacity of the new terminal will be approximately 1.95 million each year, with peak-hour handling capacity of 1,600 departing and arriving passengers. The budgeted cost of the project is INR2.45bn but it is expected that it will reach INR3.0bn by the time of completion. Upon completion, the new terminal will handle all international flight operations and the existing international terminal, Terminal 2, will handle domestic flight operations. The project will be executed in two phases. The first phase, costing INR1.65bn, includes the construction of the terminal building, apron and car park, airline offices, plant rooms and other supporting facilities. The terminal building will cost INR1.15bn, with the car park accommodating 575 cars. It is estimated that the second phase will cost INR800m. The key works include the lateral expansion of the terminal building by 27m on the Chaka side and by 40.5m on the Karali side. An approach road from the NH 47 bypass crossing the canal will also be constructed in this phase. A new air traffic control tower has also been proposed since the existing tower does not accommodate a complete view of the operational area at the airport. The plans for new ATC tower are still pending and under consideration by AAI. 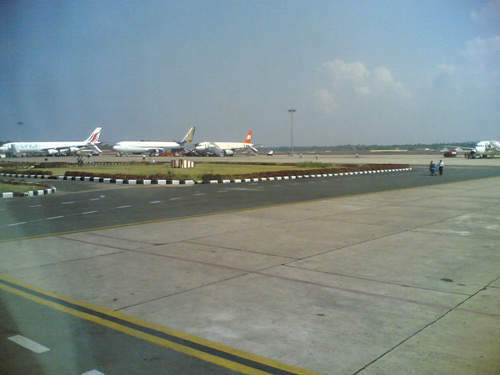 Trivandrum International Airport currently operates two terminals. Terminal 1 handles all domestic flight operations and Terminal 2 handles international flight operations. Both the terminals have single entry gates and boast X-ray baggage screening facilities. Terminal 1 has a stall providing books and gift items, and a BPL mobile shop offering prepaid cards and mobile phones. Terminal 2 has different facilities in the departure and arrival areas. The departure area has banking facilities, restaurants, tea and coffee vending machines, and telephone booths, while the arrivals area has postal and banking facilities. 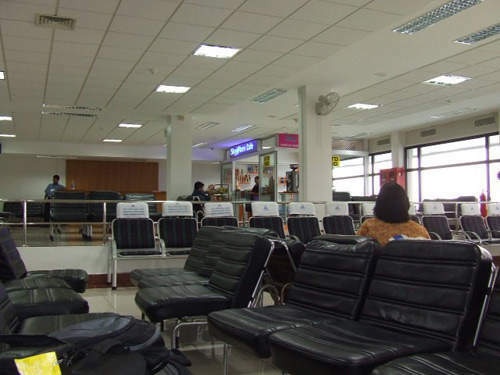 Free passenger facilities at the airport include trolleys, a telephone security hold area, wheelchairs, medical facilities, assistance for handicapped / aged / infirm travellers, rest rooms, and a lost and found baggage claim area. Terminal 3, which is under construction, will have room for 230 people in the air-conditioned visitor lounge. Restaurants, duty free shops and business centres would come also feature in the new terminal. The first floor of Terminal 3 will house a security hold area, which will be able accommodate up to 800 passengers at once. A 1,800ft² VIP lounge is also being created. The arrival and departure wings will have separate VIP lounges. The departure and arrival areas in Terminal 3 will have 30 check-in counters and 18 immigration counters, and 18 immigration and customs counters, respectively. The ground floor of the new terminal will have 18 check-in counters, 11 customs counters and 20 immigration counters. The immigration and customs checks for arriving passengers will be carried out on the ground floor. A common-user terminal equipment (CUTE) system will be installed in the new terminal, allowing passengers to check-in at any of the counters. The check-in area will have four conveyors belts, each 60m long. Terminal 1 and 2 at the airport have a total parking area of 16,390m². To reach the airport, passengers can catch the city bus, use the general taxi service at the taxi stand, or take advantage of the prepaid and interstate taxi services at the prepaid taxi counter. The new terminal is being constructed with a car park area that can accommodate about 600 cars.